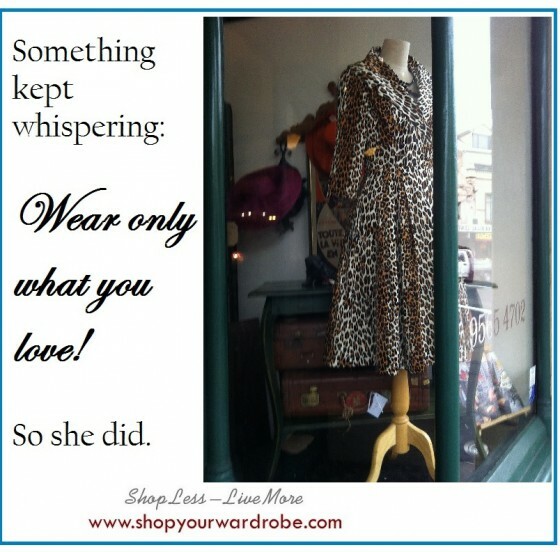 Something kept whispering: Wear only what you love! These fresh Nifty Notes are designed to inspire you to think about your shopping in a fresh light. It’s been a pleasure to have created these original Nifty Notes, each containing a thought-provoking, fun and/or quirky message and an original image (all photographs taken by me). I’m happy for you to share these with others. Please share only in their entirety/without any cropping or editing, thank you.